MMFF: 'Honor Thy Father' Disqualified from Best Picture Race! 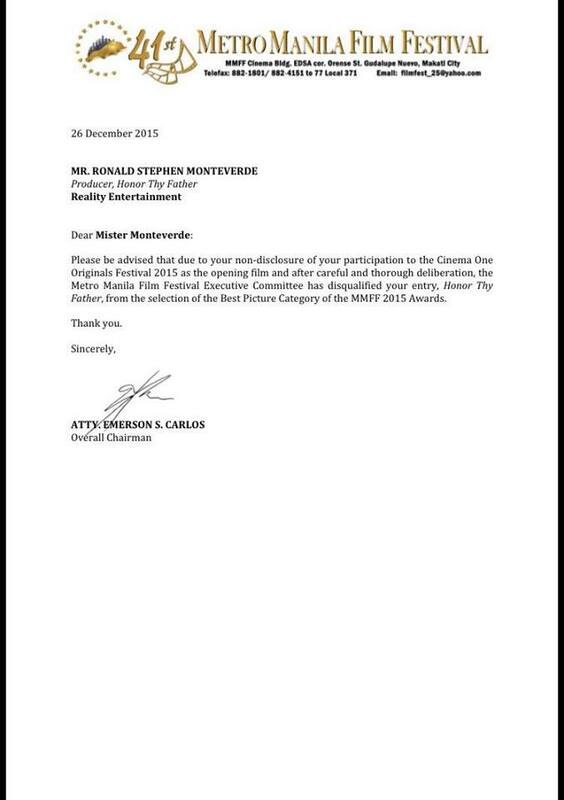 One of the entries in Metro Manila Film Festival that has been disqualified is the movie “Honor Thy Father”. 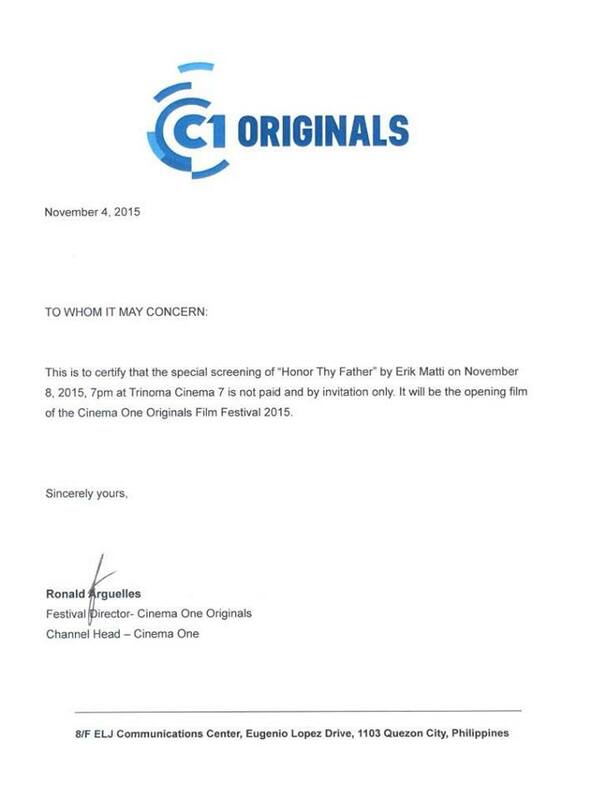 This is due to non-closure participation to the Cinema One Originals Festival 2015 as the opening film. 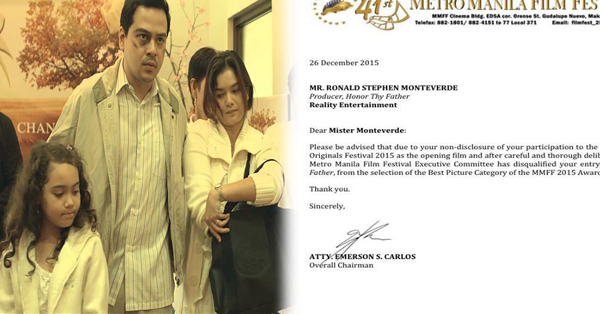 "After careful and thorough deliberation, the Metro Manila Film Festival Executive Committee has disqualified your entry, Honor Thy Father, from the selection of the Best Picture Category of the MMFF 2015 Awards," said MMFF overall chairman Emerson Carlos in a letter addressed to HTF producer Ronald Stephen Monteverede. 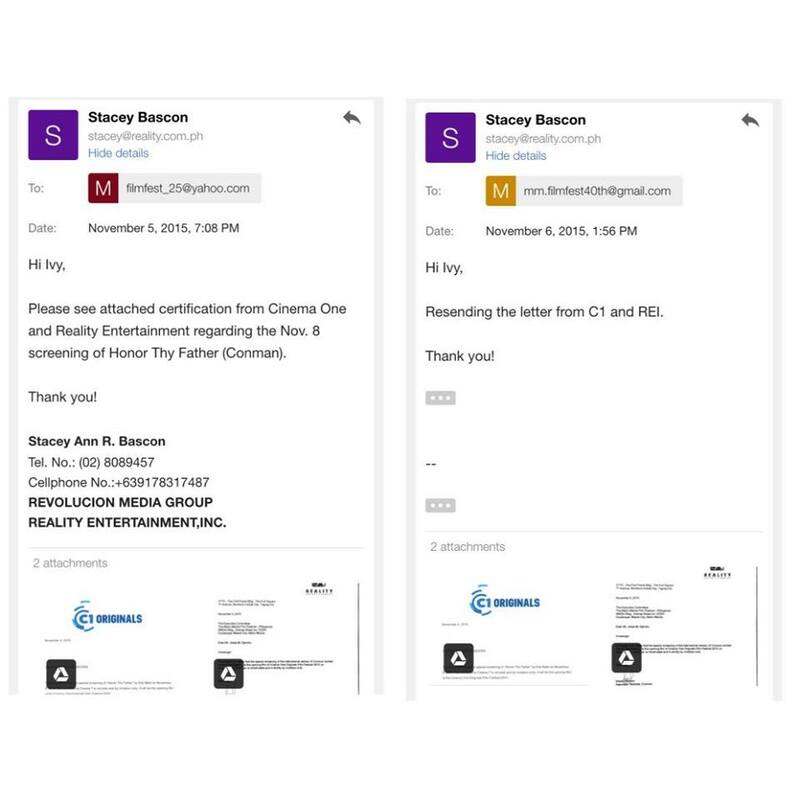 But the documents that were shared by the member of the movie show that MMFF was certainly aware that the film opened the Cinema One Festival as an invitation-only, non-revenue event. 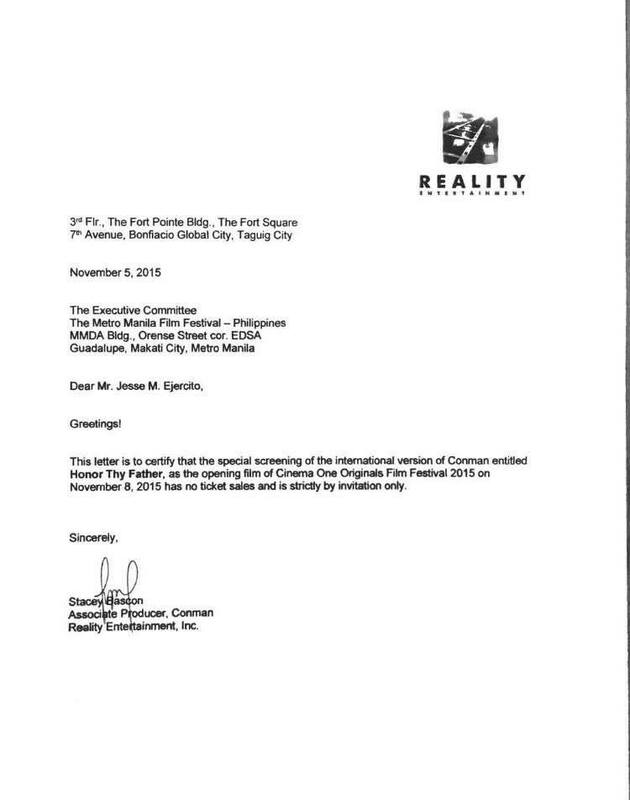 The movie Honor Thy Father was a last-minute addition to MMFF after director Gil Portes' pulled out his historical documentary Hermano Puli because of funding problems. 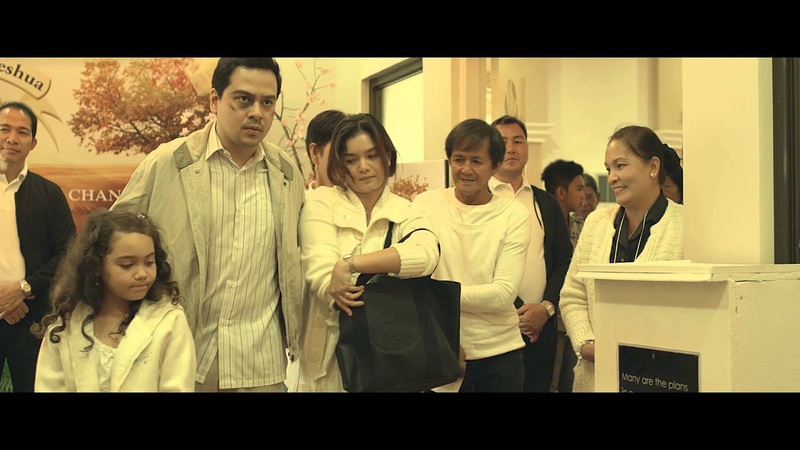 Honor Thy Father was directed by Erik Matti with a script by Michiko Yamamoto starring John Lloyd Cruz in a serious role. He had to shave his head, learn how to shoot a gun and weld to perfectly fit with the role of Edgar, padre de familia of a family trying to survive after the downfall of their investment business.